Is your child ready for a credit card? Or do they need to wait awhile? Read on to learn how to tell if your child is ready for their first credit card. You may be surprised to know that nearly 20 percent of the children between the ages of 8 and 14 have credit cards. Most credit card companies only issue cards to people older than 18 years old. However, did you know that many companies are starting to permit children to gain access to their parent’s credit card via authorized user status? This allows your child to have a credit card before they have reached adulthood. Many parents may be unsure whether they should allow their son or daughter to have access to credit card at such a young age. Even though there are many advantages, it’s important you can trust your child to use a credit card responsibly. How do you know if your child is ready for a credit card? Should you wait a while, or is it the right time? Keep reading to learn more about how to know if your child is ready for a first credit card. Let’s go! Did you know that nearly 70 percent of high school graduate enroll in college every year? If your child is planning to go to college in the next few years, it may be important for them to apply for a credit card. One of the most common reasons why parents allow their children to get their own credit card is so they can establish a credit history. If you don’t have a credit card, it’s difficult for lenders to determine whether you or not you’re reliable and trustworthy with money. This is especially important if your kid needs to apply for a loan from a student loan company. This usually involves a credit check which your child may fail to pass if they have a blank credit history. Would Your Child Benefit From Learning About Credit Cards? Many parents are worried that their children lack any understanding of the importance of money management, credit ratings and investments in the future. On average, young people don’t invest in the stock market because they’re scared and confused. Nearly 70 percent have absolutely zero savings for retirement. And lastly, most simply don’t understand how credit cards work at all. Do you want to avoid this sorry state of affairs for your child? By providing them with authorized access to your credit card you may improve their understanding. This way when they reach adulthood they won’t be afraid of credit ratings. However, credit cards come with their own risks. It’s important you teach your children about how to use a credit card responsibly. For example, make sure they understand what an APR (Annual Percentage Rate) means. The average age to give your child their first cell phone is 12 years old, why is a credit card any different? After all, parents give cell phones to their kids for in case of an emergency. By providing your child with a credit card, it may grant you the peace of mind not to worry if they get stuck at school and need pay for a taxi. You may want to enforce rules on the use of the credit cards. You don’t want your teenager coming home from the mall claiming to have purchased an “emergency” leather jacket. Can You Trust Your Child? You’re the best judge of your own child’s attitude and sense of responsibility. If you’re confident your child has the ability to handle something as important as a credit card, go ahead! However, you should question whether your child has demonstrated a lack of attention to rules in the past. Why would this be any different? Does your child have a healthy relationship with money? Are there any previous occasions which come to mind when your child has stolen money from your purse or wallet? Does Your Child Have Their Own Job? Your decision about whether to allow your son or daughter to have a credit card may depend on whether they have an income of their own. You don’t necessarily have to pay the bills for the credit card use yourself. In fact, according to a survey, over 40 percent of children pay their own credit cards bills. This may encourage your child to behave responsibly with the credit card compared with if you were footing the bill. Does Your Credit Card Company Provide Authorized User Status? It’s important to be aware that not every credit card company reported an “authorized user” account to the credit bureau. If you want your child to benefit from the credit history, you need to make sure this is the case before you make any decisions. Check out the credit card company’s website to find out whether the First premier credit card is available for your child. If your credit card company doesn’t provide authorized user status for your child, you may consider applying for a new credit card yourself. Time for Their First Credit Card? There are numerous benefits of your child becoming an authorized user on your credit card. 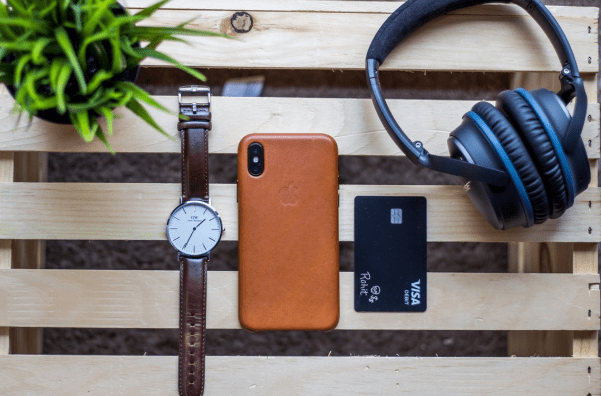 However, it’s important to proceed with caution when determining whether your child is old enough to handle the responsibility of a credit card. By following our tips and asking yourself the right questions, you can make the right decision about whether it’s time for your son or daughter’s first credit card. If you want to share your experience or advice on providing your child with authorized access to your credit card, speak your mind in the comments below! My kids have a debit card. When they go off to college, they can make the choice to get a credit card for themselves, but for now, a debit card allows them to have money in an emergency without the risk of spending too much. It works well for our family. When the time comes, we will make them an authorized user on our credit card and give them that for college supplies, which will help their credit score so we aren’t too worried about that.